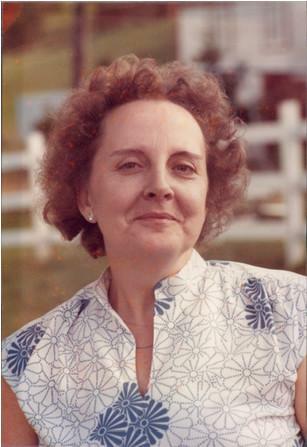 Passed peacefully away on Wednesday, February 6th, 2019 at the S. A. Glenbrook Lodge, Gladys Costello, aged 87 years. Predeceased by her husband, Donald; son David; daughter-in-law Grace Harris; grandson Jeremy; sister Edith Power; brothers, Charles, Walter, Douglas, and Edgar Badcock. Leaving to mourn her loving grandson, Joshua; as well as a large number of family and friends. Special thank you to the staff of the S. A. Glenbrook Lodge for the care and support shown to Gladys during her stay. Resting at Carnell’s Funeral Home, 329 Freshwater Road from 2-4 p.m. and 7-9 p.m. Friday, February 8th. Funeral service will take place on Saturday, February 9th, 2019 at 1:00 p.m. from the Church of St. Mary the Virgin, Craigmiller Avenue. Interment to follow at the Anglican Cemetery, Kenmount Road. In lieu of flowers, donations in her memory may be made to the Vera Perlin Society or to the S. A. Glenbrook Lodge. To send a message of condolence please visit, www.carnells.com.